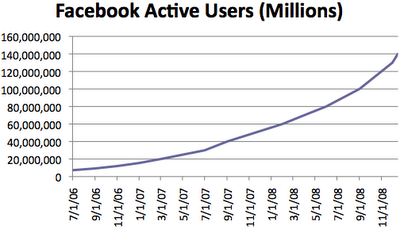 With numbers now reaching to 43,497,980 users. India has reached to the tag of the world's second highest number of Facebook users. The numbers are amazingly more than the population of Canada. No doubt, US head the table with total number of 152.5 million users on Facebook. 72.8% of Indian Facebook sers are male, more than 48% of users are in age group of 18-24 years age group and more than 27% from the 25-34 age group. However, women percentage in US is 55% than men 45%. But the numbers are also catching up fast as well in Brazil with the rate of 8% growth rate every week. Social media networks like Facebook and Twitter earlier underlined gained immense popularity and made their presence felt in the anti-graft movement carried out by activist Anna Hazare in previous year. Last December, India government advised FB and other social media networks to act against uploading of offensive material on web platforms. This started a serious debate on the use and privileges of Social Media Networks in India. Yet, FaceBook is concerned about revenue generation opportunities after any type of censorship. Facebook has an estimated 812 million users worldwide but also face restrictions in countries like China, Iran, North Korea, and Syria.